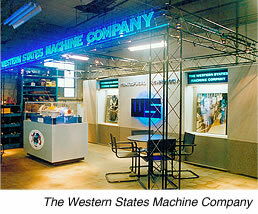 "Our company has been working with Lohre & Associates for more than thirty years. I have personally been working closely with Chuck and his staff for the last eight+ years. Our product is high end capital process equipment which is marketed to the Chemical, Pharmaceutical and Sugar industry world wide. Chuck's company has always been moving us into the newer forms of communications." Long-term relationships yield long-term benefits that save you time, aggravation and money. Few agencies are as specialized in mechanical, chemical and electrical engineering as Lohre & Associates. From the intricacies of variable-frequency drives to the benefits of high-speed metal cutting, we'll communicate your message quickly and memorably. There's little need to educate or guide our writers and designers, so you can relax knowing our team is on the job. In fact, clients often approve our first article draft for magazine submission while our graphic designers can usually nail visuals after the project's kick-off. We work so closely with most clients they think of us as their in-house agency capable of fast, accurate and creative solutions day in, day out.